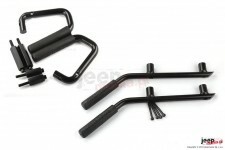 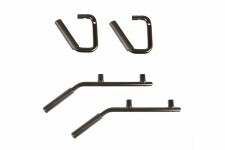 Set of 4 steel handles for Jeep Wrangler JK. 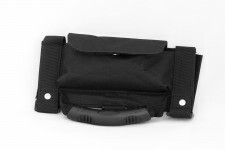 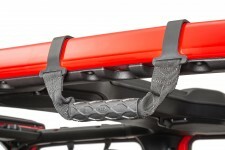 Provides a stable handle not achievable when using flexible grips. 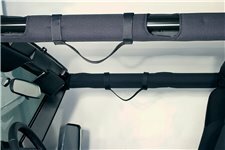 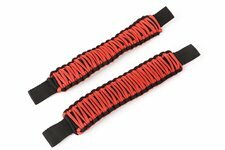 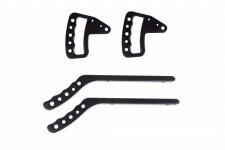 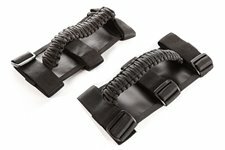 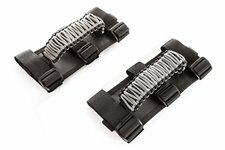 These pair of gray on black paracord grab handles from Rugged Ridge fit 55-19 Jeep Wrangler YJ/TJ/LJ/JK/JKU/JL and CJ. 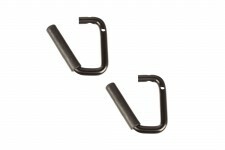 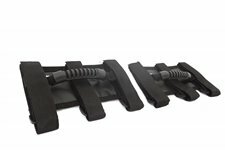 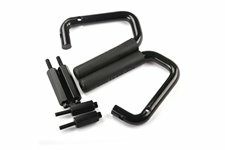 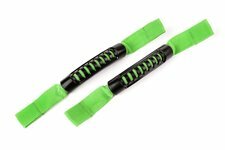 This pair of black ultimate grab handles from Rugged Ridge fit all2 inch to 3 inch sport bars found in 55-19 Jeep CJ and Wrangler. 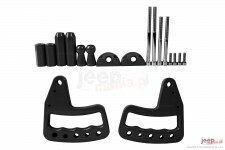 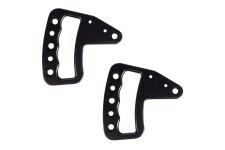 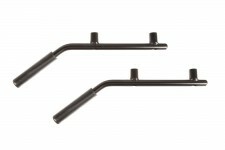 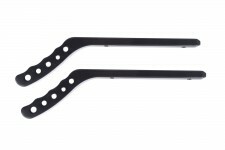 This pair of black front headrest grab handles from Rugged Ridge fit 07-18 Jeep Wrangler. 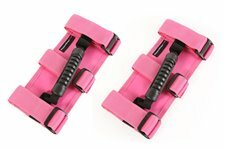 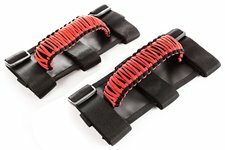 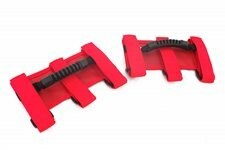 This pair of red front headrest grab handles from Rugged Ridge fit 07-18 Jeep Wrangler. 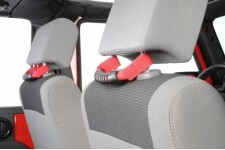 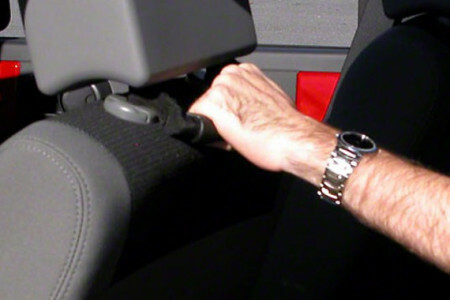 This red paracord seat mount grab handle from Rugged Ridge fits 07-19 Jeep Wrangler JK/JL. 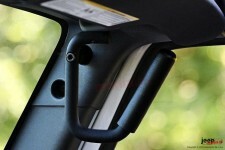 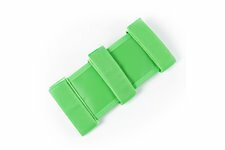 This green seat mount grab handle from Rugged Ridge fits 07-18 Jeep Wrangler JK.